To create a platform where trainers and trainees can interact and share knowledge on Direct and Indirect Taxes, Company Law, Finance, Audit and various other issues. Top Contributors points as per posting. Integrated with social media, these articles can be shared across. 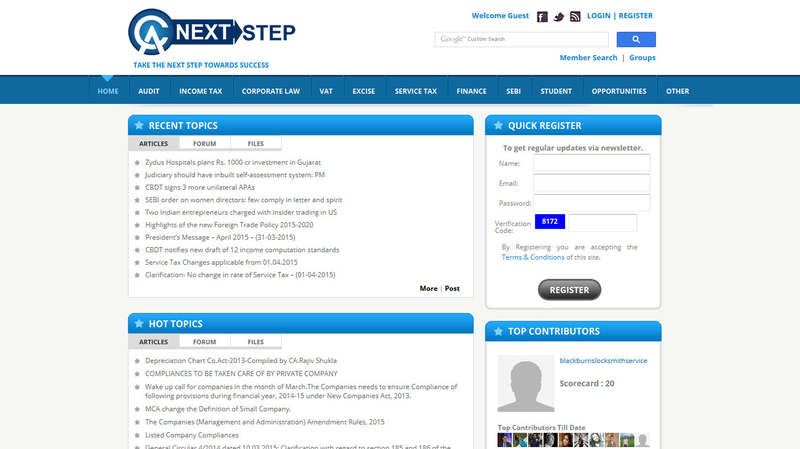 Point system – When user registered , for article submission, Friend Refer Points. Daily and Weekly Newsletter Management. Community classified posting and User wise blog posting.